Declan Cordon Price, 13 months old, died in his parents arms at Country Life Care Center in Riverton ,Utah during the early hours on January 27, 2019. After struggling with many medical issues from the day he was born, he went back home peacefully to his Heavenly Father. Declan is the son of Timothy and Shantel Price. His parents knew from the day he was born that he was a special spirit. Declan was our miracle boy. He surprised us and liked to do things his way. He loved watching nursery song animations, cuddling with mommy and reading books with his parents and grand-parents. His grandmas made him smile the most. His smile melted the hearts of those that saw him. Although only an infant, Declan blessed the lives of many people. His story was an inspiration to friends and family throughout his life. While his life was short, his parents are extremely grateful to have had him this time and will always miss him. We look forward to the day we will be with him again. 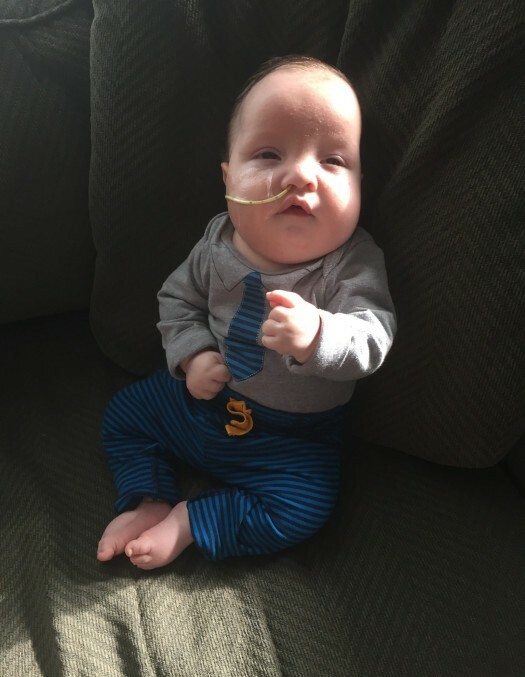 In addition to his parents, Declan is survived by, his maternal grandparents, Mark and Christine Marshall, his paternal grandparents, Kenneth and Kathleen Price, aunts and uncles, great-grandparents and other relatives and friends who knew and loved him deeply. The family would like to thank the staff at Primary Children’s Hospital, Country Life Care Center as well as all of the other doctors and nurses who cared for him for all of the work they did. The family appreciates all of the support shown throughout this time. Memorial service to celebrate the life of Declan Price will be held February 1st, 2019. All are welcome and invited to attend and celebrate Declan’s life.